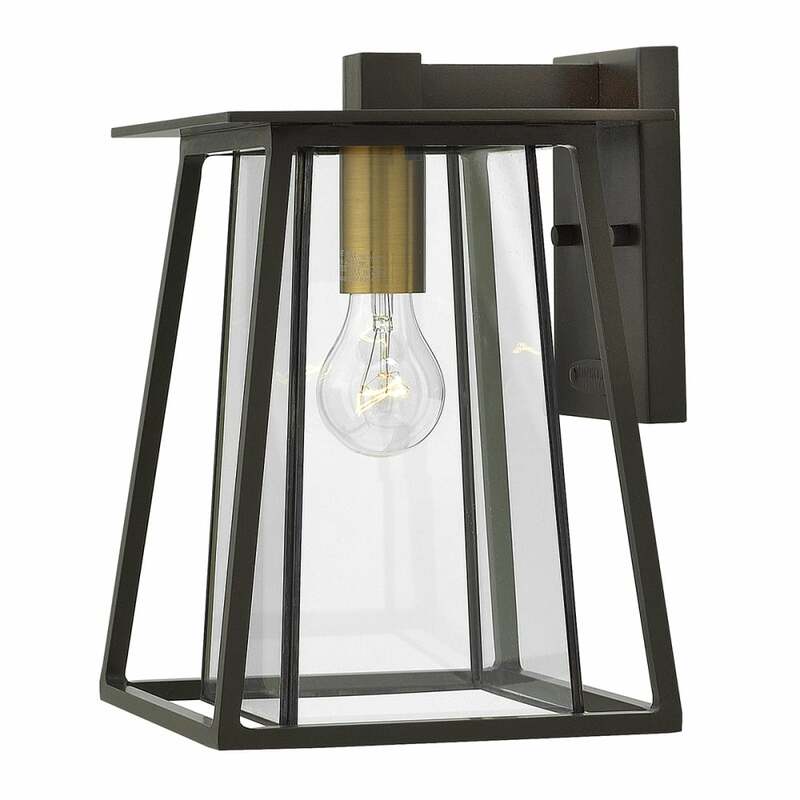 This modern style exterior wall lantern features strong angular lines in a two tone finish of Buckeye bronze and heritage brass with clear glass panels. The light is IP44 rated for safe outdoor use and would be suitable for use on a standard switch, dimmer switch or PIR motion sensor switch. Great for lighting the exterior of modern or traditional properties.